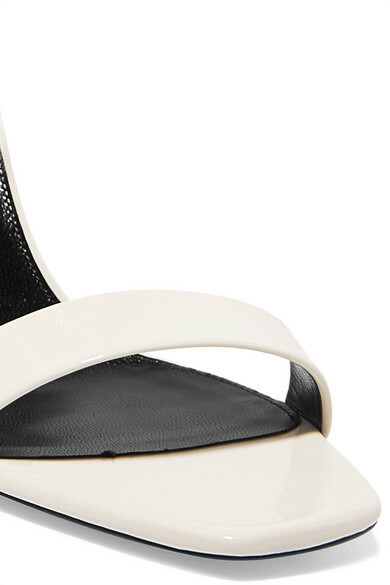 You'll want to (and can) wear Saint Laurent's 'Amber' sandals season after season – the white hue and barely-there silhouette looks good with almost everything. Made in Italy from shiny patent-leather, this pair has a cool square toe and buckled ankle strap. Creative Director Anthony Vaccarello loves elongating styles, so keep your legs bare and hemlines high to echo the looks at the house's iconic shows in Paris. Shown here with: Saint Laurent Dress, Saint Laurent Clutch.